PART I: FINANCIAL MARKETS. 1. Secondary markets. 2. Primary markets. 3. Role of financial intermediaries. 4. Yields and historical returns. 5. The FED and federal government fiscal. 6. International. PART II. FINANCIAL TOOLS. 7. Time value. 8. Analysis of risk. 9. Analysis of financial statements. PART III. INVESTMENT DECISIONS. 10. Features of stock. 11. Features of debt. 12. Stock valuation. 13. Bond valuation. 14.Preferred stock. 15. Investment companies. PART IV. FINANCIAL MANAGEMENT. 16. Forms of business and corporate taxation. 17. Breakeven analysis and payback. 18. Leverage. 19. Cost of capital. 20. Capital budgeting: NPV and IRR. 21. Forecasting. 22. Cash budgets. 23. Short-term assets. 24. Short-term sources. 25. Leasing. 26. Mergers. PART V. RISK MANAGEMENT: CORPORATE AND INDIVIDUAL. 27. Options. 28. Futures. 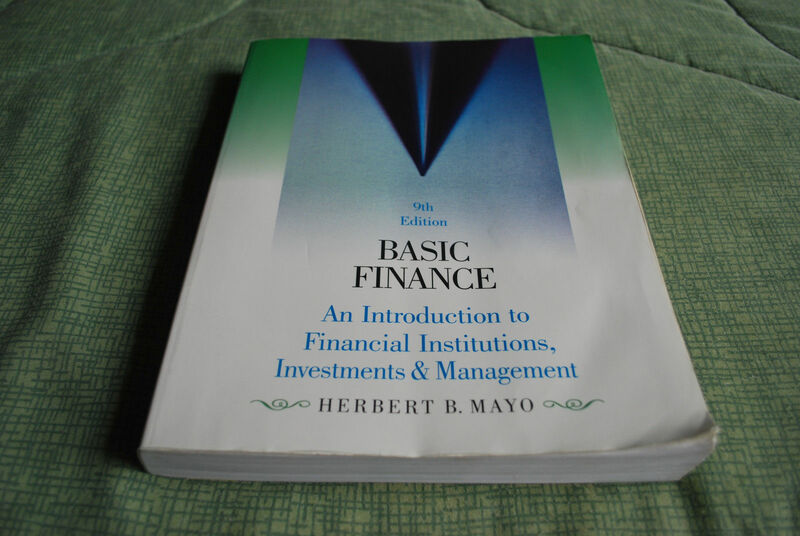 Part I: FINANCIAL INSTITUTIONS.1.The Role of Financial Markets.2.Investment Banking.3.Securities Markets.4.Financial Intermediaries.5.The Federal Reserve.6.International Currency Flows.Part 2: FINANCIAL TOOLS.7. The Time Value of Money.8. Risk and Its Measurement.9. Analysis of Financial Statements.Part 3: INVESTMENTS.10. The Features of Stock.11. Stock Valuation.12. The Features of Long-Term Debt–Bonds.13. Bond Pricing and Yields.14. Preferred Stock.15. Convertible Securities.16. Investment Returns.17. Investment Companies.Part 4: CORPORATE FINANCE.18. Forms of Business and Corporate Taxation.19. Break-Even Analysis and the Payback Period.20. Leverage.21. Cost of Capital.22. Capital Budgeting.23. Forecasting.24. Cash Budgeting.25. Management of Current Assets.26. Management of Short-Term Liabilities.27. Intermediate-Term Debt and Leasing.Part 5: DERIVATIVES.28. Options: Puts and Calls.29. Futures.Appendix A: Interest Factors for the Future Value of One Dollar.Appendix B: Interest Factors for the Present Value of One Dollar.Appendix C: Interest Factors for the Future Value of an Annuity of One Dollar.Appendix D: Interest Factors for the Present Value of an Annuity of One Dollar.Appendix F: Answers to Selected Problems.